Challenger Designs manufactures Aluminum Outdoor Kitchen Carts that are Made in the USA. They designed to fit most ceramic egg smokers (and gas grills) made from powder coated aluminum (this means they do not rust) with weather tight construction and offer convenience features such as towel bars and grab handles. Lifetime warranty on these units. Choose from Torch and Spark Carts for the Big Green Egg, Kamado Joe and Primo. They also have a Coastal series which are made for Delta Heat 32" Grills. or Artisan 32" Grills. If you have a different grill in mind, create a Cart can customized to fit your outdoor space. If you have a custom idea or needs ... let us quote your design. All Challenger grill carts come equipped with plenty of counter space and storage. If convenience is an important feature when you grill, then this is the grill cart for you. Built to hold the grill with just enough storage, it’s extremely portable, but makes a beautiful addition to any patio. We can have a cart custom made for your grill.  Just send us an email with your specs to info@thebbqdepot.com or call us at 877-983-0451.